What's in your pipe? March 2018. Thread: What's in your pipe? March 2018. F&S in a Savinelli Estella and coffee. Good evening, gents! Winding up the day with some Rattray's Highland Targe in a trusty old Savinelli Roma 920KS Dublin. This one feels so light and clenches so well that I got curious about it's actual weight, so I broke out Jessica's food scale and checked it out. I first checked out some pipes with similar capacities - a Neerup Brandy and my RDP Author - and found them to be between 60 and 70-odd grams each. The Roma was indeed substantially lighter, weighing in at a meager 40 grams. 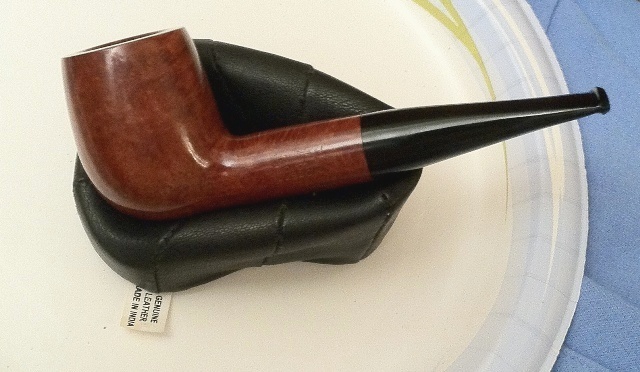 It's only 2 grams heavier than my 706 Roma, a long-stemmed Billiard with a much smaller bowl capacity. Interesting. Thanks Herb, good to see you back on PSU again. Thank you, Mark! Good to be back. First smoke of this overcast day; 'Blue Capstan Ready Rubbed' in a huge Preben Holm 'Traditional - Hand Made in Denmark'. A belated 'Welcome back', Herb. Great that you are back. When I got my first Savinellis, i also noticed that for a given bowl size, and even for a given amount of wood, they are remarkably light in weight. I'm smoking the Work in Progress mix in a Danske Club Vario. It's made by Stanwell and the same shape numbers apply, an 11 in this case. I once got it for my father as a gift. HU Sunset in a H Simmons is the day's first, beautiful sunny morning here! Kicking off Freya's Day with a bowlful of the homemixed Eddie G's Birthday Blend in the Savory's Curzon 95. Daylight Savings Time. Doesn't take much. Looks like I'll have to change my planned itinerary for the day.